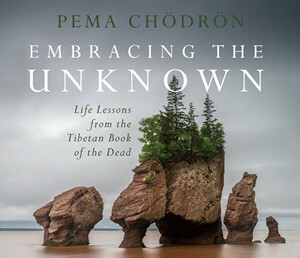 “Death isn’t just something that happens at the end,” teaches Pema. “Life is continually arising, dwelling, ceasing, and arising. It’s a cycle that goes on every day, and continues to go on forever.” Featuring insightful Q&A sessions with a live audience, Embracing the Unknown invites you to explore the most daunting and liberating truth of our human experience—guided by Pema Chödrön’s hallmark blend of insight, humor, and fearless love.